Gibson Law Office has a team of criminal defense attorneys with offices in Lafayette and Fort Wayne, Indiana. Our clients include people charged with serious felony and misdemeanor crimes, suspects in criminal investigations, and persons seeking to restrict access, seal, or expunge their criminal records. We have a statewide practice and have handled cases in a majority of Indiana counties. 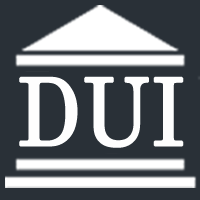 Our attorneys only handle criminal matters and have won acquittal in Class A felony and DUI cases. Roy Graham uses his nearly 25 years of legal experience to achieve the best possible results, even in the most complex and serious situations. He focuses his Bloomington, Indiana, law practice in two primary areas: criminal law and family law. Roy works in Monroe and throughout the surrounding counties. The Indiana Criminal Defense Team of Baldwin Kyle & Kamish, PC is a unique law firm whose sole mission is justice for the accused. “Justice” may mean having charges dismissed or winning a trial. It might also mean getting the best and most reasonable plea offer that our client deserves. Our attorneys have been hired based upon their passion for criminal law and their skill as trial lawyers and litigators. We have surrounded ourselves with lawyers and staff dedicated to criminal defense.